I have been studying the limited editions of newly published Irish artist Philip Gray, who is now considered to be one of Irelandâ€™s most celebrated living artists. These are dramatic and powerful images that have a resonance all of their own, unlike other limited editions that have come before. 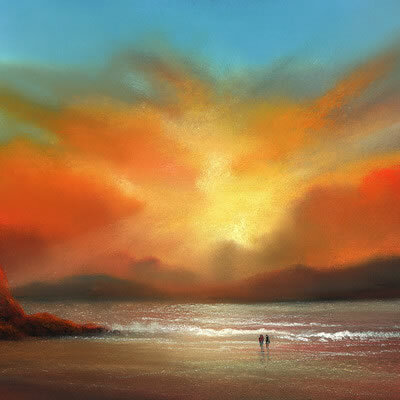 While established UK (published) landscape artists, such as Lawrence Coulson, have their own style of landscape painting that they are known and loved for, Philip Gray is taking that â€˜styleâ€™ and departing on his own artistic path. 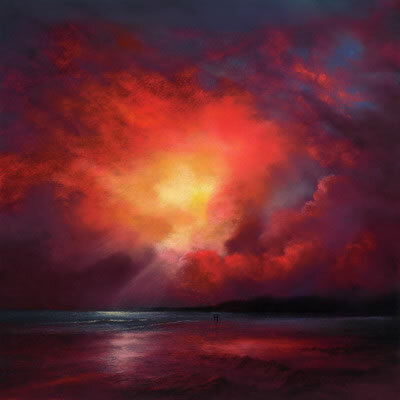 Most of his current paintings display a movement, within the sea or sky, showing dramatic colour changes that really make the picture come to life & evolve infront of your eyes. It maybe that the colours (often very deep ones) & the combination of colours that he paints with, in themselves, are key elements in creating his own distinct style. Personally I find this sort of work very appealing. Therefore he must be appealing to quite a broad spectrum of art buyers.